We’re just 15 weeks away from the annual UK Money Bloggers conference and awards and we can reveal the names of all the blogs who were nominated by readers and other bloggers. This list contains 83 different blogs covering a huge range of money topics. It’s full of blogs, vlogs and podcasts. They are all currently being shortlisted across 15 different categories. We’ll announce each of these shortlists later this month. Judging will then take place in September and October, and winners announced at our conference in November. You’ll also get to have your say as all the blogs listed below will be eligible for the People’s Choice SHOMO award – the only category decided by public vote. 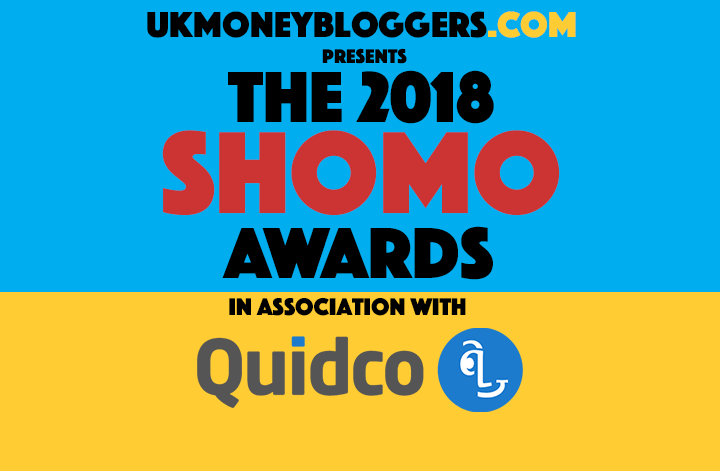 So in alphabetical order, here are the blogs in the mix for a 2018 SHOMO.